SAN FRANCISCO – Oct. 11, 2012 – Bolt Creative, developer of the best-sellingPocket God franchise, in conjunction with Barnes & Noble, Inc. (NYSE: BKS), the leading retailer of content, digital media and educational products, today announcedthat the Pygmies are leaving their Pocket God-forsaken island for a well-deserved vacation at local Barnes & Noble stores! Players and fans can nowget their hands on brand newPocket God toysfrom their nearest Barnes & Noble location or by ordering the prolific Pygmy playthings through Barnes & Noble.com (www.bn.com). 5-inch Collector Vinyl Figurines – These game-accurate figurines are available in four different Pygmy styles: Happy Pygmy, Warrior Pygmy, Zombie Pygmy, and the Moon Witch. 2.5-inch Blind Box Figurines – These smaller vinyl figurines come in 16 unique characters of varying rarity. Each figurine is packaged in an art collector blind box – fans will not know which Pygmy they have until they open it! 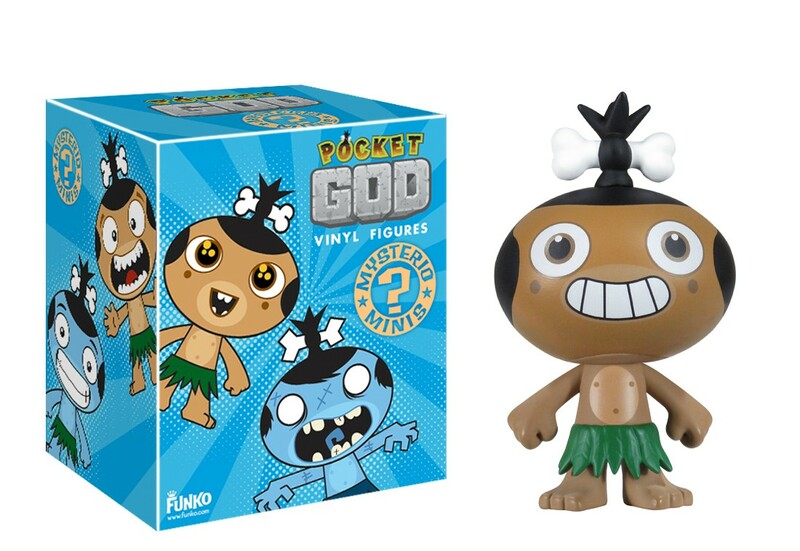 “Pocket God is here to stay, and partnering with Barnes & Noble is a great way for us to ensure that our beloved Pygmies cross over successfully into the real world the same way they have in the digital space,” said Pocket God co-creator and Bolt Creative CEO Dave Castelnuovo. 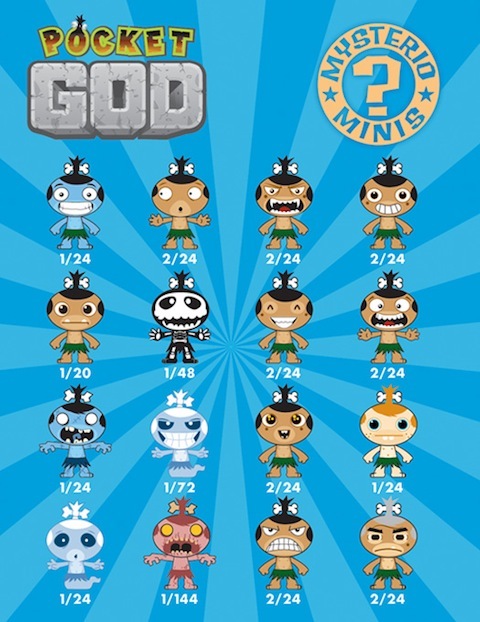 To get your hands on your own Pocket God figurines and toys, please visit your local Barnes & Noble or www.bn.com. To commemorate the launch, Bolt Creative is also holding a contest to give fans a chance to win some one-of-a-kind Pocket Godswag, including autographed comics, posters, and more. For details, please visit http://www.boltcreative.com/. A gallery of images of both lines of Pocket God figurines can be downloaded at www.triplepointpr.com/dl/bolt/PocketGodBarnesNoble.rar (14 MBs). Barnes & Noble, Inc. (NYSE:BKS), the leading retailer of content, digital media and educational products, operates 689 bookstores in 50 states. Barnes & Noble College Booksellers, LLC, a wholly-owned subsidiary of Barnes & Noble, also operates 667 college bookstores serving over 4.6 million students and faculty members at colleges and universities across the United States. Barnes & Noble conducts its online business through BN.com (www.bn.com), one of the Web’s largest e-commerce sites, which also features more than 3 million titles in its NOOK Bookstore™ (www.bn.com/ebooks). Through Barnes & Noble’s NOOK®eReading product offering, customers can buy and read digital books and content on the widest range of platforms, including NOOK devices, partner company products, and the most popular mobile and computing devices using free NOOK software. Barnes & Noble is proud to be named a J.D. Power and Associates 2012 Customer Service Champion and is one of only 50 U.S. companies so named. Barnes & Noble.com is ranked the number one online retailer in customer satisfaction in the book, music and video category and a Top 10 online retailer overall in customer satisfaction according to ForeSee E-Retail Satisfaction Index (Spring Top 100 Edition).